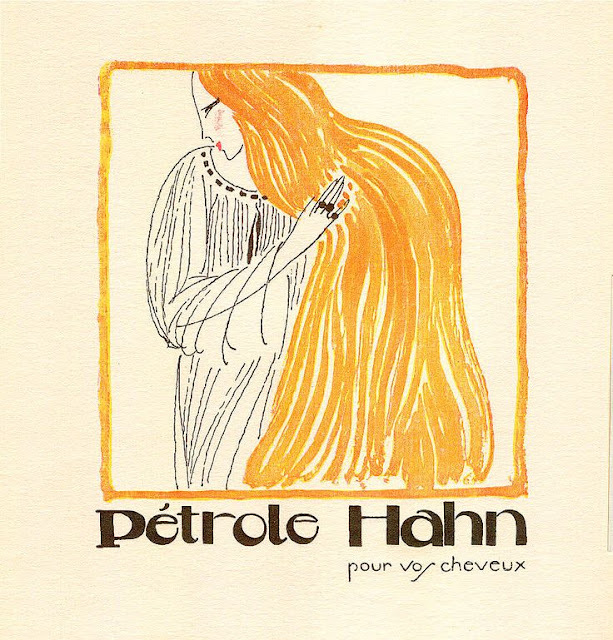 Pétrole Hahn hair tonic was sold beginning in 1885. Here are some of their art deco and other vintage print ads. Pétrole Hahn advertisement, L’Illustration, February 9, 1918, page 2. Public domain image. 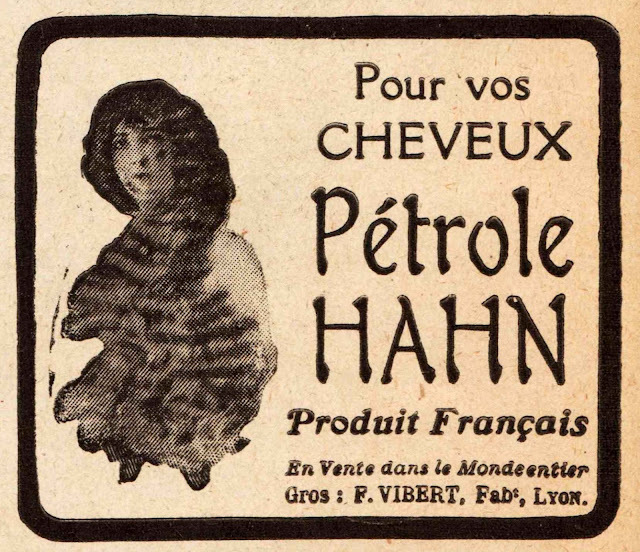 Pétrole Hahn advertisement, from Les Feuillets d'Art, 1920. 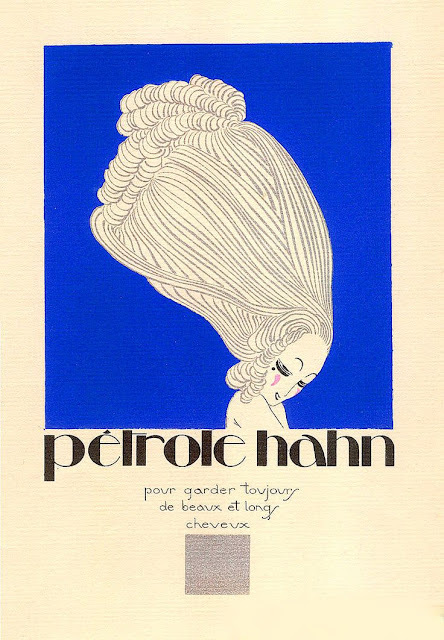 Pétrole Hahn advertisement, pochoir from Les Feuillets d'Art, 1920. Pétrole Hahn advertisement, “arrête la chute des cheveux,” illustration by Charles Martin, unknown date. 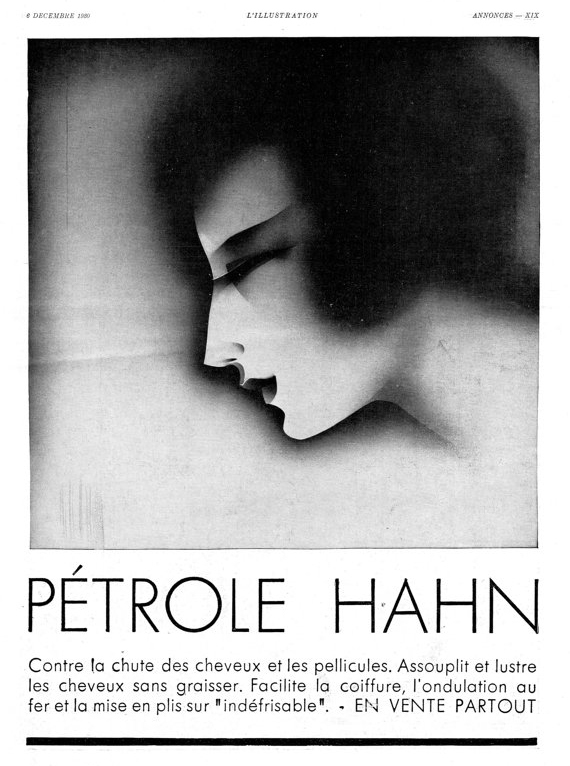 Pétrole Hahn advertisement, L’Illustration, December 6, 1930. 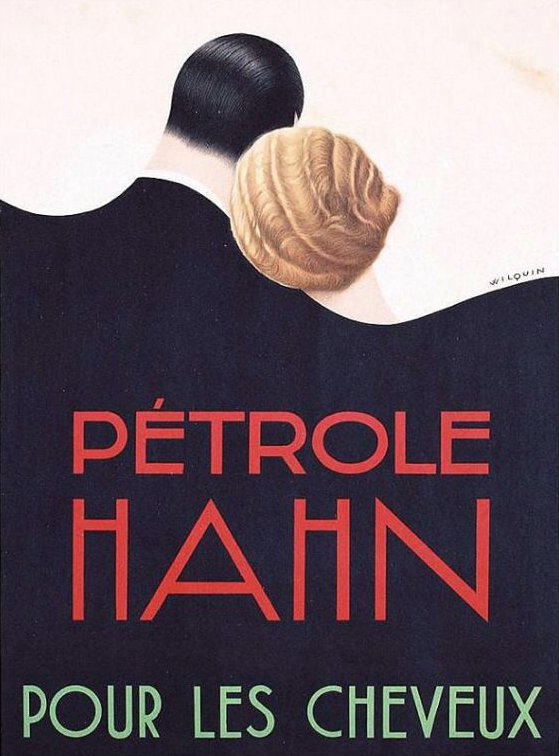 Pétrole Hahn advertisement, designed by Andre Wilquin, circa 1930. 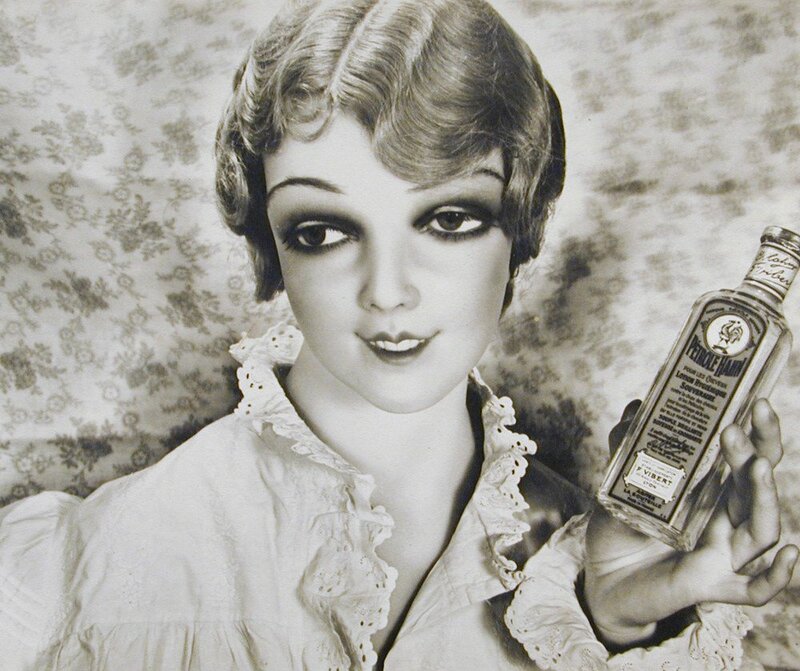 Ellen Auerbach, Grete Stern, Studio Ringl & Pit, Pétrole Hahn, 1931. 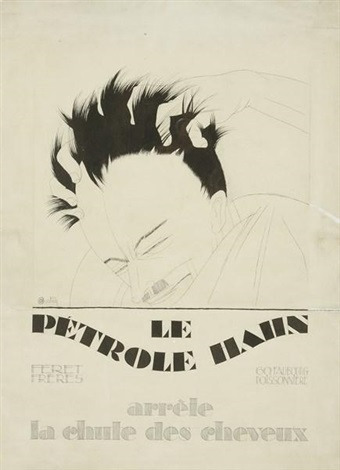 Dora Maar and Pierre Kefer, "Étude publicitaire pour Pétrole Hahn." Original silver gelatin glass negative plate. 1. The Jewish Women's Archive interviewed the photographers Ellen Auerbach and Grete Stern about their image which was used as an ad for Pétrole Hahn hair lotion. It combined a nightgown, mannequin head, and a real hand, but the photographers later forgot whose hand was in the photo and which one took the photograph. 2. 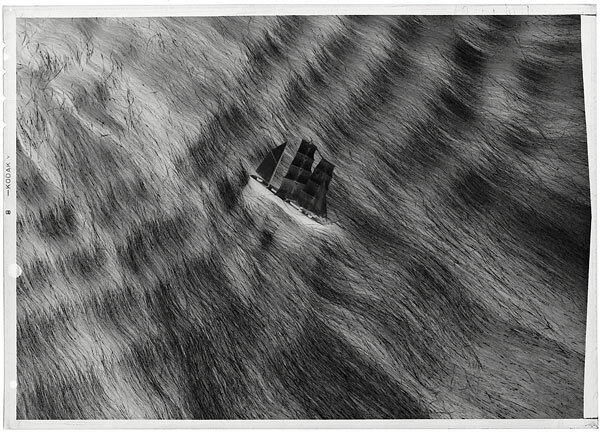 Dora Maar's surrealist advertising work in the early 1930s, included this image of a boat sailing through an ocean of hair.